TDF has a new way for young theater enthusiasts to engage with artists and each other online: PXP! And New York Theatre Workshop has some of the best theater educational programming in the city. Are you in Chicago? You poor thing. At least there’s some excellent theater to keep you warm. Plus, theater internships! Speaking of internships, the American Theatre Wing’s Theatre Intern Network is pretty swell – as an alum, I would know! Avenue Q‘s Christmas Eve herself, Ann Harada! We went to the same high school. Hamish Linklater, who stars in Doug Wright’s terrific new play Posterity at Atlantic Theater, gave a thoughtful but quite zany interview. “House of Cards'” Mahershala Ali had some interesting thoughts on theater vs. Hollywood. Have you seen Unbreakable Kimmy Schmidt? No?? What are you doing here??? Yes???? What are you doing here, why aren’t you rewatching????? Here’s my interview with the wonderful, hysterical, sensational, future Emmy winner Tituss Burgess. Lastly, Dylan Marron (of New York Neo-Futurists fame) pulled off something extraordinary with his latest show The Human Symphony: he exposed me to something I’ve never seen before in the theater. 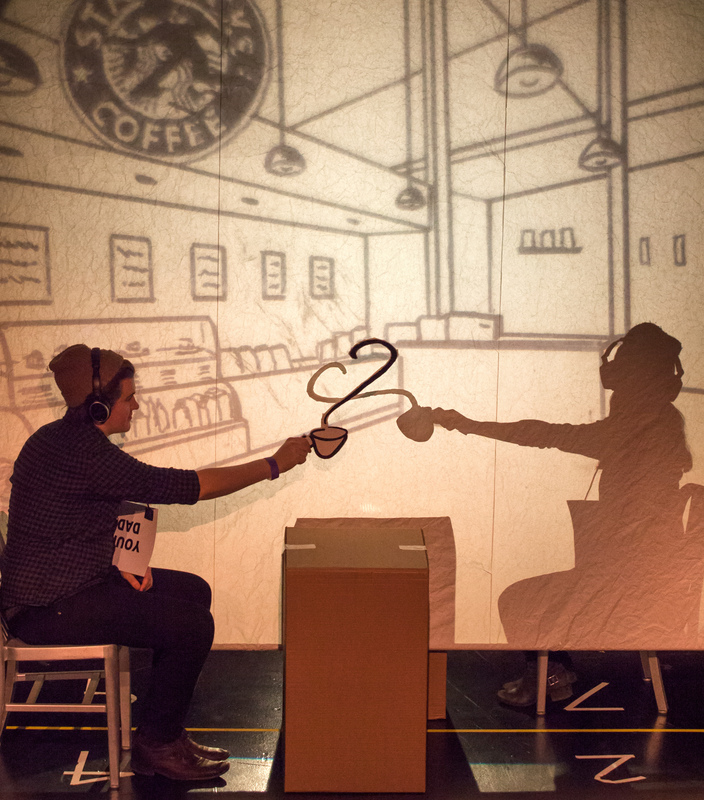 Drawing from real-life interviews centered around finding connection in today’s digital age, the entire show is enacted through mime by audience members listening to Marron’s instructions via headphones. Aside from the obvious awe the project’s scope inspired, its interwoven stories of love online and off resonated with startling immediacy; as Marron tells me in our Backstage interview, audiences can’t help but relate to the “actors” onstage because they are extensions of themselves. Check it out!